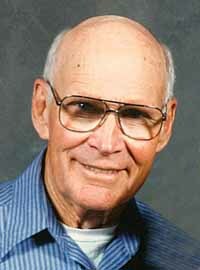 Frank A. Stephenson, 93, of Hailey, died Monday, March 14, 2011, at Blaine Manor in Hailey. Frank was born Nov. 9, 1917, in Millett, Texas. Frank grew up in Phoenix, Ariz. At the age of 15, he and a buddy took off and rode the rails to El Paso, Texas, to join the Horse Cavalry. He passed the test, but his friend was too young and was sent home. He then joined the Army during World War II where he battled in the South Pacific. Then he came home shortly after and married Fern Jones. Frank lived in Phoenix, then moved to Idaho in 1966, buying their farm on Baseline Road in Bellevue. He worked as a carpenter while Fern was a homemaker. While not building, he was busy farming and ranching. He loved to fish, hunt and ride horses. Frank loved to play pool at the Senior Center while Fern volunteered. Frank was awarded many medals, including a Purple Heart for his dedication and service in the Army as an infantry soldier. Frank was a dedicated husband, father, grandfather and great-grandfather, touching the lives of many with his mild but strong demeanor. Most of all he was the best husband to Fern. Surviving are his wife, Fern Stephenson; Susan Luttrell (children Marisa and Joel Elizarraras); Ben Stephenson of Hailey; Karen Morrison and children Amy and Randy Smith of Nebraska; Amber Morrison and Scott Palleggi of Coeur d'Alene; and great-grand kids, Tre Higgins, LaCoby Zamora, Seth Smith, Thalia Zamora, Iszabela Smith, Faustino Nunez and Nathan Palleggi. He was preceded in death by his father, Roy Lee Stephenson, and his mother, Beulah Mathews, three brothers, three sisters and great-grandson Manny Palleggi. The family suggests memorial donations to Hospice of Wood River Valley, Box 4320, Ketchum, ID 83340 or Blaine Manor, Box 927, Hailey ID 83333. Friends and family are welcome to leave thoughts and condolences at www.woodriverchapel.com. Services were held at 1 p.m. on Thursday, March 17, at The Life Church in Hailey. Burial followed in the Hailey Cemetery. Funeral arrangements were under the care of Wood River Chapel.